The Beach Golf Course located in the quiet seaside village of Trearddur Bay is perfect for both experienced and novice players. The nine hole course is an ideal way to relax and enjoy, whilst taking in the beautiful surrounding scenery. 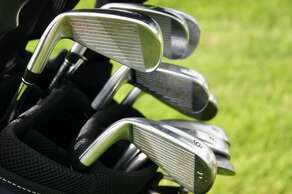 Club hire and refreshments are available at the golf shop and The Driftwood Bar &Restaurant next door offers a selection of beverages and meals. Seasonal opening times. Ask a member of staff at The Beach Motel for more information. With its remarkably smooth surface and a minimum width of 12 metres, the circuit is an outstanding venue for amateurs and professionals alike. Spectators can enjoy vantage points, including the elevated position above the Corkscrew, Peel and Rocket complex. 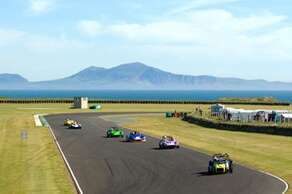 The venues showcases sports car, vintage car, motorcycle and supermoto events as well as track &test days. South Stack lighthouse is a well known local attraction, just off the northwest coast of Holy Island. Located only a few miles from The Beach Motel you can observe for yourself, the stunning views and breathtaking scenery at South Stack and the surrounding area. 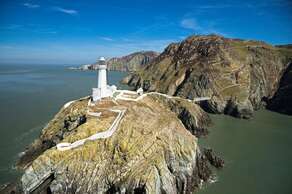 Whilst in this area, visitors should also explore Elin’s Tower and the RSPB South Stack Cliffs bird reserve. The South Stack cliffs are a breeding ground for a host of sea birds including puffins, guillemots, razorbills, fulmars, ravens and choughs. For those with an interest in botany, keep a sharp eye out for the Spatulate Fleawort, which is unique to the cliffs of Holy Island. Cafe &gift shop located in lower car park. 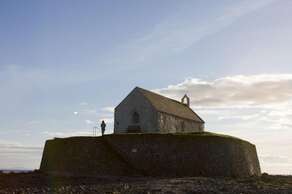 Also known as the Church in the Sea, St Cwynfan's is found on a small tidal island called Cribinau just outside of Aberffraw. Old maps show the church standing on the mainland of Anglesey but tidal erosion of the boulder clay cliffs has since separated the church from the mainland. At low tide the church can still be reached by foot, although we would recommend a good pair a walking boots as the pathway is rocky and uneven. It is thought that the original site of Cwyfans would have been founded in the 7th Century. The building as it stands today is estimated to date back to as early as the 12th Century, having undergoing many restorations over the centuries. Located at the south point of Anglesey, Newborough is home to one of the largest publicly accessible forests in Wales with a clear path straight to the beach and rewarding views for those who venture through the forest. Newborough forest is home to a range of wildlife, including Anglesey’s main red squirrel population. Off road cycling, horse riding, and hiking are other popular activities that attract people to Newborough and whilst just over twenty miles away from Trearddur Bay, it is an great day out for visitors to the island. Another point of interest in the Newborough area is Ynys Llanddwyn;an island of geological and historical significance that is only accessible during low tide. 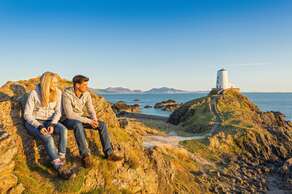 The island forms part of the National Nature Reserve of Newborough Warren, with breathtaking views of Snowdonia and the Llyn Peninsula on clear days.